Apple, which has filed a request for consideration, argues the decision harms China’s interests by potentially raising the royalties and fees that phonemakers pay Qualcomm. Apple Inc says a Chinese ban on sales of the iPhone will force it to settle a long and bitter licensing battle with Qualcomm Inc, an outcome that may end up harming the country’s smartphone industry and give its fiercest legal rival a boost. The US company was responding to a Chinese court that ruled this week Apple infringed two Qualcomm patents and issued injunctions against the sale of six older versions of the iPhone. Apple, which has filed a request for consideration, argues the decision harms China’s interests by potentially raising the royalties and fees that phonemakers pay Qualcomm. The ruling from a local court — which came as Washington and Beijing are locked in sensitive trade negotiations — pivoted the battle over patent fees to the world’s largest mobile arena. Apple’s response underscores the importance of the Chinese market, as well as Qualcomm’s crucial role as a technology provider to the likes of Huawei Technologies Co. and Xiaomi Corp. The two US companies are locked in a worldwide dispute over licensing fees that Qualcomm charges for use of technology that the chipmaker says underpins all modern phone systems. Apple has argued its former supplier unfairly leverages its position as the biggest supplier of chips for smartphones to force payment. Qualcomm has countered that Apple is using its intellectual property without paying for it, and the legal cases are aimed at forcing it to lower licensing charges. Like Apple, Chinese smartphone makers had argued for years that Qualcomm — which owns a swathe of patents essential to modern wireless communications — is abusing its position and levying punitive fees. Most have since struck an agreement with the US company. Qualcomm successfully argued to the Chinese government its intellectual property coverage would protect those handset makers, allowing them to penetrate overseas markets. Now, Apple is saying China’s latest ruling could influence a broader global conflict. While iPhones remain on store shelves pending a decision on Apple’s appeal, a negative outcome could affect its sales in the world’s biggest market for smartphones, where the company generates about a fifth of its revenue. And it will come at a time when demand for Apple’s most important product is slowing. China is also the production base for most iPhones as well as the iPad and Mac. Apple warned that the ban would hurt manufacturers like Hon Hai Precision Industry Co — known also as Foxconn — and other suppliers. 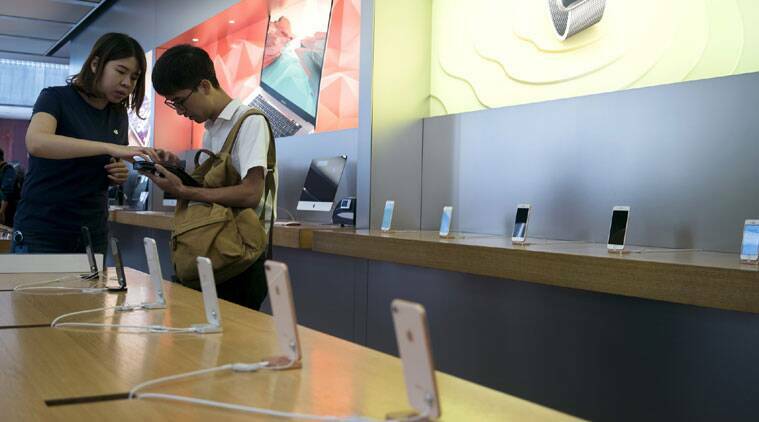 A ban would cost Apple millions of dollars a day and affect both the Chinese government and consumers, the company added, noting it has created 5 million jobs across the country’s supply chain and third-party software developers. Qualcomm has also brought patent suits in China and other jurisdictions, seeking bans on the sale of iPhones to force Apple to the negotiating table. In addition to the Chinese case, it’s filed complaints against Apple in Munich and Mannheim, Germany, and lodged another one with the US International Trade Commission in Washington. All three venues offer it the chance — if successful — to shut down or limit the sale of the iPhone, a product that generates the majority of Apple’s revenue.